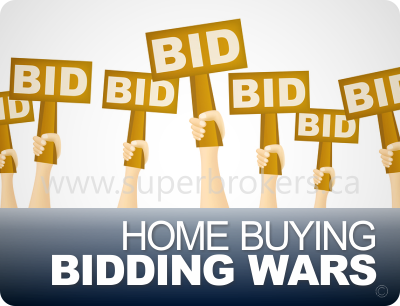 Data also shows that bidding wars were more likely to occur in Toronto, Vancouver and Calgary. In fact, a quarter of home sellers in Calgary said they purposefully under-priced their properties in an attempt to spur competition among homebuyers. While it's generally a good idea for homebuyers to avoid bidding wars if they wish to save money, there are ways to not only help a buyer win a bidding war, but minimize the financial toll. When making a purchase offer, it's important for Canadian buyers to understand the local market. By researching how much comparable homes in the area are selling for, buyers can get a better idea of how much money should be spent. While there's always wiggle room when it comes to prices, buyers should try to stay at a reasonable amount that makes sense for the size and condition of the property, as well as the area it's in. Buyers should also consider expenses beyond the asking price. For instance, since most buyers require home loans in order to finance a property purchase, the closing costs associated with a mortgage should be taken into account. The fees and expenses that come with a mortgage can add up quickly, so before buyers begin upping their purchase offers, they should consider the big picture. Additionally, some homes may require extensive maintenance or repairs. These costs should be analyzed before a buyer decides to increase their purchase offer. Of course, the professional appraisal of a home is a vital component as well. 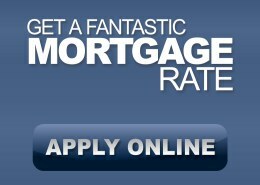 Mortgage lenders will only provide a certain amount of financing based on how much a property is appraised for. Therefore, buyers who enter a bidding war and go well over a home's appraised value are essentially pledging to pay the difference out of pocket. When it comes to actually winning a bidding war, it's important for homebuyers to differentiate themselves from the competition. One way for individuals to do this is by showing sellers that they're more serious than other buyers. Homebuyers who get preapproved for a mortgage and attach a copy of their preapproval letter with their purchase offer are saying one thing loud and clear: I'm ready to get this deal moving. It's one thing for sellers to be tempted by multiple offers, but at the end of the day, homeowners will want to deal with someone who will actually follow through. Of course, it's also important for buyers to make sure their offer isn't overly low. There's a big difference between trying to be frugal and insulting a seller with an ultra-low purchase offer. In any case, it's essential for buyers to make sure they can afford their offer in the first place. This is why planning ahead is a vital part of homebuying. Besides getting their financial affairs in order, another way for buyers to plan ahead is calculating their loan costs with an online mortgage calculator. These free tools will allow buyers to figure out how much their monthly payments will cost, as well as how long it will take to pay off a mortgage. This entry was posted in Financial Planning, Residential Mortgages and tagged bidding war, homebuyer, pre-approved by The Super Broker. Bookmark the permalink.